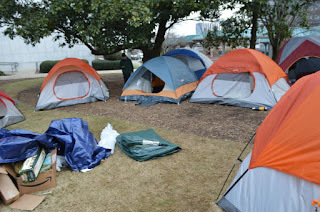 Last week for four days, three nights protesters in Atlanta occupied space outside of the Dekalb County courthouse. Rise Up Georgia and friends set up tents and slept outside to bring in the indictment of Dekalb County Police Officer Robert Olsen. Olsen is responsible for fatally shooting 27 year old Anthony Hill last March. 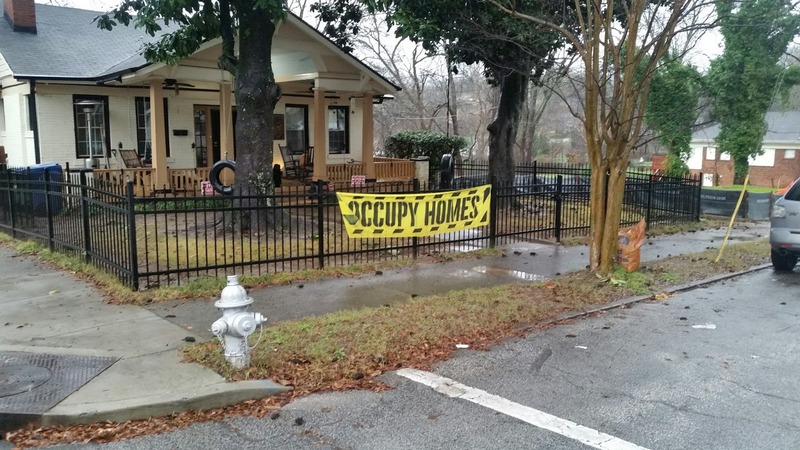 Beginning on Monday night, protesters occupied the space outside the Dekalb County courthouse. The first night was harshly cold. Protesters put out a call for donations of hot food and warm clothes and the community responded. The first night began with about six tents or sleeping stations and the number grew to over ten by Wednesday night. Each tent slept 3-6 people. Each morning started early with donations of hot coffee and breakfast. Protesters provided relief through organized shifts. Many community members came and left throughout the occupation providing much needed opportunities for protesters to get some rest. Thursday was the final stretch. The grand jury heard the case and the decision was to be announced that evening. The crowd grew and so did the anticipation of the announcement. 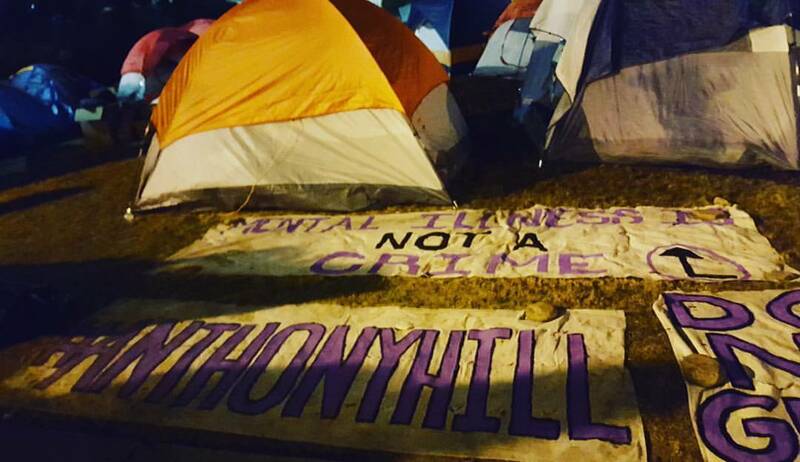 Protesters were more than ready to return home to the warmth and comfort of their homes but were also willing to remain at the courthouse until the decision was announced. It was originally predicted that the decision would be announced around 4:00PM. When the clock reach 5:00 and no word was given, protesters began to get worried. At about 7:30pm the DA called a press-conference and the decision was to be announced. The crowd grew outside of the courthouse as the press conference was streamed live from inside the courthouse. Officer Olsen would be indicted on all six charges and an arrest warrant was issued. There were lots of tears of joy and relief amongst the crowd. 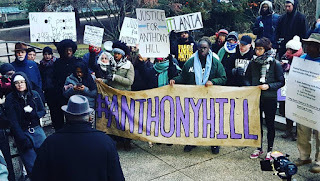 Immediately the victory chants begun as they awaited Anthony’s family to exit the courthouse and address the crowd. The family and the very committed individuals of Rise Up Georgia recognized the indictment as win but are dedicated to getting justice through a conviction. One thing that's clear is that sustained community organizing and public pressure has elevated this case. 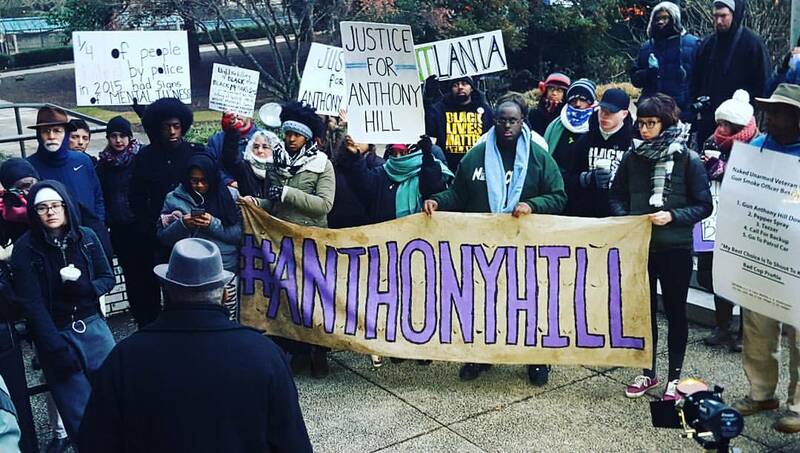 Every march, rally, night spent in the freezing cold, and online petition has helped create a crisis of morality that DeKalb County has been forced to take action on. 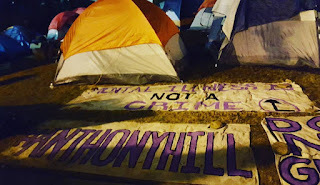 Good organizing has brought the family and friends of Anthony Hill together with veterans, advocates for those living with mental illness and community members together to speak with one voice. American Friends Service Committee's Atlanta Economic Justice Program is excited to be counted as an allie to this important work and will continue to search for ways to provide support. 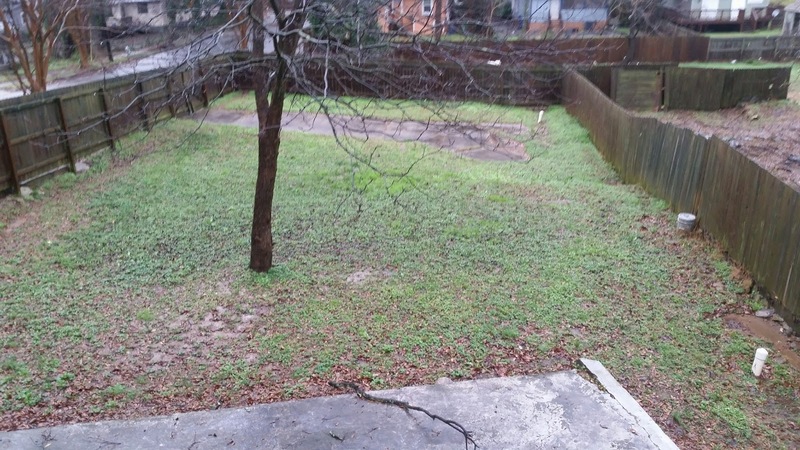 Guess What Home DIDN'T Flood in Peoplestown? which flooded various areas in and around metro Atlanta. Wanna know who's home didn't flood at all? Tanya Washington's home , in fact her entire property had zero signs of flooding. Contrary to the City's insistence that all of the homes on the block it has threatened to take by eminent domain in Peoplestown flood, the attached pictures of Tanya Washington's house depict no flooding. The fact that her house did not flood during record-breaking rainfall is consistent with the position she has maintained throughout the fight to remain in her home, that her 91 year old house (which contains a full basement) does not flood. 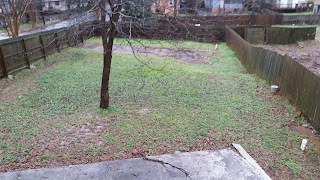 It also supports the determination, reflected on the registered survey of her property, that she is "NOT in an area having special flood hazards." (see attached 2011 survey). If the City's argument for eminent domain based on phantom flooding is recognized as legitimate then many areas in and around the City are vulnerable to the City's taking authority, which sets a dangerous precedence for City homeowners and business owners. Why does this pose a threat? 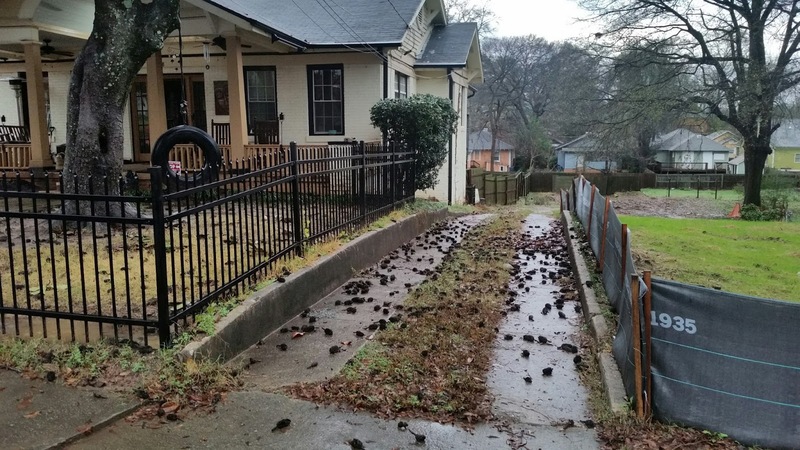 During our late December bursts of showers flooding occurred all over the city. Businesses and homes all over metro Atlanta had flooded yards, flooded basements, and streets had flooded cars. Forced displacement should always be an absolute last resort and it should be considered criminal to attempted to force someone, like Tanya Washington, from her home on the pretense of flooding when flooding simply doesn't occur. The fight against mass displacement is Peoplestown under the pretense of flooding(that in some cases has never happened) is really the fight against gentrification, it's the fight to allow folks to stay in the community they love and helped build despite rising interest in the property by the business and development community. Peoplestown and community's like it can and should be developed. It's possibly to develop a community in a way that benefits those that have been holding it down before it was cool to move there. We strongly encourage all to sign and share Tanya and her neighbor's online petition by CLICKING HERE.